Tipping has become increasingly widespread in all areas of the service industry, particularly in restaurants, cafes, bars and taxis worldwide. The UK is no different, but knowing when to tip and how much can be confusing. In British restaurants where you place your order with a waiter or waitress at your table, it is common to tip around 10%. This can be done by either leaving a cash tip after paying the bill or adding an amount to your total bill if paying by credit card. In some restaurants, a service charge of 10% – 12.5% is added to the bill, and this should be noted clearly on the menu. Do not leave a tip if you are not happy with the service. Similar to a restaurant, if you receive waitress service in a British cafe or coffee shop at your table, a tip of 10% would be appropriate. In coffee shops, such as Starbucks or Costa, there may be a tip jar on the counter, but very few customers offer tips as you usually collect your own order. In cafes, where you collect your food, place it on a tray and pay at the end counter, there is no need for a tip. You do not usually tip barmaids or bartenders in British pubs and bars. However, you can offer to buy them a drink if you have had great service or are on friendly terms. Generally though, tips are not expected. It is not a requirement to tip in taxis, but most people round up the fare to the nearest £1 as a polite gesture. If a minicab driver helps with your luggage on a longer journey or from an airport, you may want to tip a little more. If taking a black cab or licensed minicab in London, a 10% tip is the average amount, although not a requirement. When picking up food from a British takeaway restaurant, tipping is not required. If your food is delivered to your hotel or apartment, although not required, tipping the delivery driver with the change or £1 would be a polite gesture. In Britain, if a porter takes your bags to your room, a £2 cash tip is reasonable. Tipping for food and drinks being brought to your room is at your discretion. Again, leaving a tip for your chambermaid is at your discretion, but not a requirement. Tips are not included in the price of most tours. However, it is customary to show gratitude to your tour director and driver for a satisfactory service. Coach Tour Deals, Deals, Deals! Towards the end of the year, people often start thinking about their holidays for the year ahead. Not only this, they also tend to look for what’s the best offer out there. Fortunately, they don’t have to look too far with Trafalgar Tours! Trafalgar Tours are specialists in escorted coach tours and have great savings at the moment on many of their coach tours. Their ‘Early Payment discounts’ offer gives 10% discount on the land-only part of your trip if you pay the full amount by the 27 January 2016. On our Family Experiences itineraries, we take the hassle – and some of the cost – out of group travel planning. We offer a 5% discount to groups of five to eight people, a triple and quad room share reduction, plus a Young Traveller Discount. Have you travelled with us or one of our sister companies in the last five years? If so, we’ll give you 5% off your next trip. Only one discount is available per person, per year, and can be redeemed against each further land-only part of a trip. Frequent Traveller Discount does not apply to City Breaks and extra nights’ accommodation. Organising a trip for five to nine people? You can save 5% per person on the land-only part of your trip. Groups of 10 or more people can save even more on the land-only part of their trip. For more information, contact us or your local Travel Agent, who can give you a quote. Have twice the fun – save up to 2.5% when you book a second Trafalgar trip. Book two Trafalgar trips – both seven days or longer – and save up to 2.5% on the land-only portion of your shortest holiday. Please note that holidays must be booked at the same time. The discount is per person only and does not apply to City Breaks, extra nights’ accommodation, extensions and airfares, taxes and fees, and airport transfers. Europe – excludes all Eastern Mediterranean holidays except the Greek Island Hopper, the Best of Greece (without cruise), the Highlights of Turkey (without cruise) and the Best of Turkey. Autumn, Winter & Spring Europe – excludes Real Britain, Jordan, Egypt and Israel. Asia – excludes Highlights of China and the Yangtze, and China Tibet and the Yangtze. Are you travelling alone but don’t want to pay a single supplement? On many of our trips, we’ll give you the option to room share with another same-gender solo traveller, on a twin-bed basis. Please note that we cannot guarantee roommates will be of a similar age group. If we fail to match you, we will provide a single room at no extra cost. This service does not apply to City Breaks, extra nights’ accommodation and all Eastern Mediterranean holidays – with the exception of Highlights of Turkey (without cruise) and the Best of Turkey.Single supplements may also not be available on specific itineraries; you’ll be able to find this information in the departure notes on the Prices & Availability section of each trip’s itinerary page. Travel with three people sharing one room and each of you will receive a reduction on the land-only portion of your trip’s price. Each itinerary lists the triple room reduction per person. Triple room reductions are based on sharing a twin or a double bedroom with an extra bed, which may be a ‘roll-away’. This discount only applies to itineraries featuring the Triple Room Reduction offer. If you’re travelling with a child between the age of five and 17, we’ll give you a discount of up to 10% on the land-only portion of their holiday. Young travellers must be under the age of 18 years on the date of departure, and must be accompanied by an adult (limit of one Young Traveller Discount per room). 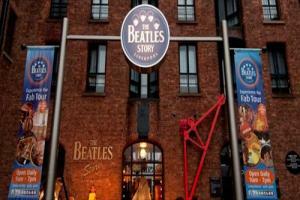 on Select Ireland & Britain Tours! Book by December 31, 2015 and use code MKTOFI45123115UHighlights: Dublin’s Merry Ploughboy Pub Dinner/Show, Bunratty Castle Medieval Banquet, Sheepdog Trials, Kiss The Blarney Stone, Ring of Kerry Tour and more! Book by December 31, 2015 and use code MKADA70123115UHighlights: Cliffs of Moher, Sheepdog Trials, Blarney Castle, Titanic Belfast and more! Book by December 31, 2015 and use code MKLEA90123115UHighlights: Waterford Crystal Factory, Dingle Peninsula, Sheepherding at Rathbaun Farm, South Pole Inn and more! Book by December 31, 2015 and use code MKODA120123115UHighlights: Jaunting Car Ride, Glorious Dingle Peninsula, Kylemore Benedictine Abbey, Cabra Castle Hotel Stay and more! Book by December 31, 2015 and use code MKSDRA115123115UHighlights: Scottish Evening in Edinburgh, Loch Lomond Scenic Cruise, St Andrews, Edinburgh Castle and more! Book by December 31, 2015 and use code MKTSI115123115UHighlights: Dublin Canal Cruise Dinner, Bunratty Castle Medieval Banquet, Scottish Evening in Edinburgh, Cliffs of Moher and more! Book by December 31, 2015 and use code MKBOB135123115UHighlights: Traditional Scottish & Welsh Evenings, York Walking Tour, Windsor Castle, Shakespeare’s Birthplace and more! Book by December 31, 2015 and use code MKFREE115123115UHighlights: This special itinerary reveals the history of the fight for Irish Independence! Book by December 31, 2015 and use code MKGRAND335123115UHighlights: In-depth Vacation with Prominent Visits, Five Capital Cities, Historic Castles and more! Book by December 31, 2015 and use code MKPAT145123115UHighlights: Travel throughout Ireland to trace the history of the struggle for Irish political freedom! Terms & Conditions: Offer valid on new bookings only. Not valid for group travel, and not combinable with other CIE Tours promotions or discounts. Other restrictions may apply. SO WHY BOOK WITH EXPAT EXPLORE? Guaranteed departures: Our Comfort tours are guaranteed to operate, so you never have to worry about your tour being cancelled at the last minute. Early bird savings: Expat Explore offers the most competitive prices out there. But as seats are sold, prices go up – book early to get a great deal. Make great savings on an Expat Explore tour when you book early – see below for an example of prices on their 7 day Europe taster tour. 22 Dec – 28 Dec 2015 £749 £619 £130 *Christmas departure. 14 Mar – 20 Mar 2016 £699 £499 £200 2016 Early Bird Rate! 28 Mar – 03 Apr 2016 £699 £489 £210 2016 Early Bird Rate! 11 Apr – 17 Apr 2016 £699 £519 £180 2016 Early Bird Rate! 25 Apr – 01 May 2016 £699 £479 £220 2016 Early Bird Rate! The Early Bird offer applies to all Expat Explore tours so book early and secure a seat with just a 10% deposit. Ireland is not just about natural beauty, but a magical land every step of the way, often being referred to as the Emerald Isle, the third largest island in Europe. Plus, it is the best place to visit if you want to be amazed – simple as that. If you don’t believe us, check out our reasons. The heritage of this island is simply mesmerizing. From ancient castles built by the Scottish, British and Irish in different eras, to the beautiful buildings that showcase excellent Irish architecture, there are many things to revel in. The entire country is packed with museums and historical monuments. Then again there are the ancient Celtic monasteries that have mostly been converted to satisfy more modern purposes. Festivals being celebrated for centuries like the Puck festival also provide a colorful interlude in our daily lives. The Irish people are very friendly and don’t mind welcoming strangers in their midst. It is not uncommon for Irish folks to mingle and drink festively with total strangers. Here, you might find a lot of diversity in the lifestyles of those living in cities like Dublin, with modern buildings, trendy clothes and modern lifestyle, while in the countryside you can still be able to find people living in thatched roof cottages and heating their homes with peet. The youngsters learn the importance of song and dance from an early age and they make room for it in their lifestyle. A lot of respect is still given to age old traditions and these things are enough to leave you awestruck with this place. It can be easily said that while in Ireland if you have not visited a pub then your visit is incomplete. There is a strong pub culture here and people go to pubs to simply relax and spend time with friends, and to enjoy the excellent local food and drinks. The Irish pubs are full of laughter, music and warmth. You can find them everywhere, all offering the same feel and Irish beer. Ireland is also famous for the variety of food that it has to offer. Some of the favorite dishes include lamb, oysters, beef, and seafood on the coasts. The Irish breakfast consisting of eggs, bacon, white and black pudding, fruits and pastries. The menu for the Irish breakfast remains the same no matter where you go. You must also try the soda bread while you are here as each grocery store has this bread. There are many remnants of an Ireland of the past, along with the rich culture of the land, the numerous places of interest and the excellent food and drinks. Everything here makes Ireland a land perfect for the travel buffs. In fact many people who visit Ireland fall in love with it. 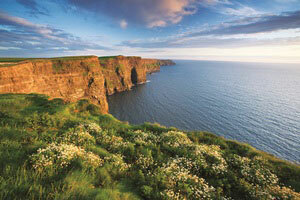 You can have the best of Ireland, especially with our Irish coach tour offers. 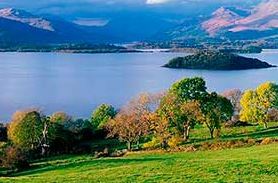 Ireland is well known for its vibrant cities, pubs and coastal cliffs, but the most exhilarating aspect of this land is its countryside. The countryside of Ireland has personality all on its own and from Donegal in the North to Cork in the South there is a vast spread of pastures which provide ample photographic opportunities. While touring in the Irish countryside you might come across villages where traditional music and dance are performed out in the open or in local pubs. Irish people have joy and positive energies surrounding them, and they enjoy sharing it with everyone. That is one of the reasons we have come up with a list of things you can do in the countryside, hidden attractions included. Stay tuned! Traveling the entire Irish countryside takes a complete day of non stop driving. The best way to get around is by car, particularly if you want to stay away from the busy cities and stick to the countryside. If you don’t feel comfortable driving on your own, we have come up with a few coach tour offers in Ireland that will definitely make you enjoy the best of this country. There are many historical places along the Irish countryside that provide a pleasant break from the never-ending green pastures. The Rock of Cashel is a medieval castle situated on a hill in the County Tipperary Golden Vale. Needless to say that castles are one of the most visited sights in Ireland as they not only reflect the ancient architecture, but also take you down the lane of the torrid history of the land. Rock of Cashel has a Gothic cathedral that speaks about the religious and architectural history. On the other hand in County Meath you can visit the Bru Na Boinne where you will find several sheep grazing around unassuming mounds. These mounds are actually passage tombs which date back 5000 years to the Neolithic age or the Late Stone Age and have been declared a world heritage site by UNESCO. At night the villages provide a place to relax after exploring the rugged wilderness and farmlands. Known as the center of traditional Irish music Doolin in County Clare is a village you must visit if you want to enjoy the pub culture of the countryside. There is also the village of Inistioge in Nore River Valley of County Kilkenny where you will find pubs, lakes where you can fish to your heart’s content and an abundance of trees. The cottages and gardens in Kenmare in County Donegal provide a good starting point for traveling around the Ring of Kerry. While in Ardara in County Donegal you will find number of boutiques and shops selling Donegal wool. The quaint church in the medieval town of Dingle in country Kerry, and different places to drink and be merry are great welcoming alternatives. If you don’t mind traveling off the beaten path then the Irish countryside provides a great opportunity to delve into the history of the land. If you are interested in green farmlands, County Wicklow is a pastoral paradise, but Glendalough is even more interesting although mostly hidden. This is a monastic settlement which dates back to the sixth century – a good hide away from the madding crowd with its forests and waterways. Known as the seat of High Kings the Hill of Tara in County Meath, it also hides a passage tomb dating to the Stone Age. This is not all when it comes to the Irish countryside as there are many more things to explore, but we’ll leave that to you to find out! People are becoming less material and more personal goal-oriented, while they still have the time. This is a trend worth engaging with, since enriching your heart and mind with culture, new people and new experiences should be on your priority list. One of the ways to do this is to travel around the world and what better way to start than Ireland? This beautiful country stands as a rare and exquisite jewel, so make sure to include it in your personal collection. This is a land which every traveler should visit for its mystery, romance and history. So why not leave an indelible mark and enrich your life many notches? The best time to visit Ireland is during summer – unless you fancy endless downpours. Summer is the time when the weather is moderately warm, colour rich and sunny. Although there are many reasons to visit Ireland in the summer let us look at three major ones. There are more than 340 castles in Ireland and they were built by the British, Irish, and Scottish during different eras of conflict in the tumultuous past of the land. These castles are the remnants of this anything but quiet history of Ireland. Few things inspire the wistfulness and romance that castles do and if you grew up with childhood wonders associated with mysterious castles then you will certainly get your wishes. Apart from the castles there are other icons of culture and history that simply ooze out at you all over the islands. There were the Viking raids, the fringe influence of the Roman civilization, and the druidic culture to some extent. Other than these, the culture of Ireland is untouched and totally Celtic in nature. 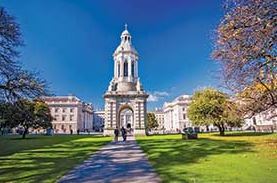 You can also go through the book of Kells at Trinity College in Dublin or indulge in some non-written Celtic nodes of history in burial mounds and ancient monasteries. There are many festivals celebrated in Ireland that are completely intrinsic to this place. Some of these festivals may have a religious background while some others are purely for fun. One of the examples is the Galway International Oyster Festival, which takes part every year. If you are not so fond of oysters and prefer the creative things, then you can visit the Dublin writers’ festival or the Dance festival. For the food lovers there is the Gourmet Food Festival in Kinsale and, why not, the Battle for the Bay, as well. There is also a 400 year old festival known as the Puck fair in Killogrin. This festival is celebrated in August every year, with people filling the streets with live music, lot of drinking and a cattle fair for domesticated animals along with everything you could possibly expect in a festival. Speaking of, who can forget St Patrick’s Festival? We know we can’t! They celebrate St Patrick’s day even in new York! Ireland abounds in natural beauty with sights like the Cliff of Moher, making you feel awed by the size and scope of the earth. Although cities such as Belfast and Dublin are the ones that attract travelers, the beautiful countryside is what Ireland is all about. 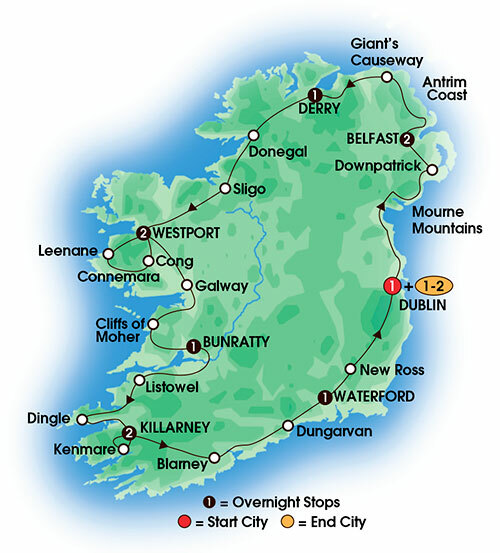 You can also take a trip along the Ring of Kerry, a circular drive in Kerry county about 111 miles long. There are hundreds of things to see on the way and you can choose to take a hike along this path rather than traveling in a vehicle. Oh, and have we told you the main reason yet to come? 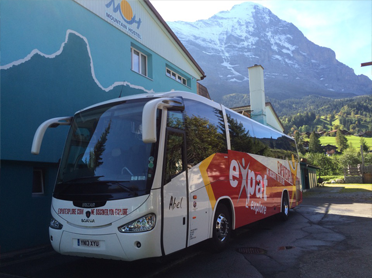 This special coach tour offer! Ireland is a land of castles and gardens that speak by themselves about the historical past and great natural beauties. Ireland has a mild, moist climate and almost zero environmental pollution due to which the flora finds abundant opportunity to flourish. The beautiful gardens created with the help of a benevolent nature and creative human effort, are truly the gems of the land. There are more than 300 castles and gardens in Ireland, these being the most popular. This castle is located in Blarney near Cork and on the river Martin. The newest form of the castle dates back to 1446 when it was built by the Kings of Desmond of the MacCarthy Dynasty. 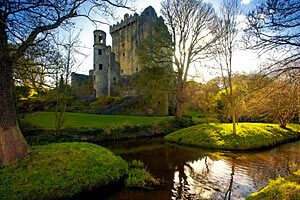 The most famous relic in this castle is the Blarney stone or “Stone of Eloquence” and people wait in line to touch it. It is believed to be the magical rock on which the Kings of Ireland were crowned. 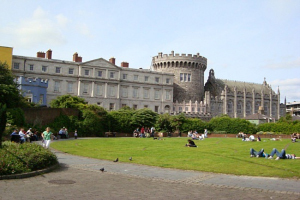 This is an important historic castle situated on the Dame Street in Dublin. Its history dates back to the first Lord of Ireland, King John in 1922. Until the independent state established in 1922, this castle was the seat of the British Empire. In 1922 it was handed over to the Irish Provisional Government by Michael Collins. 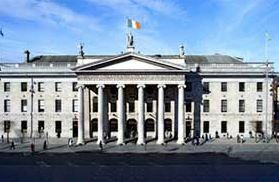 It now serves as a major government complex and the seat of the European Presidency of Ireland. This is one of the best gardens in Ireland and the best time to visit is during spring. At this time you will find things of interest both on the ground level and on the branch level. During spring the Robinsonian style is very apparent as thousands of bulbs are in full bloom. The Palm Walk is lined on both sides with purple and white crocuses and the magnolias with their large flowers are fully bloomed, too. These gardens were laid out over two main periods and most of the folks involved in the creation of the gardens never saw them being completed throughout their lifetime. The house was rebuilt in the decade after 1731. The gardens were also remodeled to suit the new house. In the North side, there are formal tree plantations that frame the house, a walled garden, fish pond, grottos, cascade and terraces. There are hundreds of beech trees lining the walk around the wooded grounds that provide a fantastic view. This is known as the most romantic garden of Ireland and is a combination of formal and informal styles spread across 100 acres. There is a profusion of roses, and other old fashioned and modern plants lend their scents into the air. There are a lot of birds and butterflies to be enjoyed in the garden – and when you take a walk via the Hill Walk, you get a great view of the Blackstairs, Wicklow Mountains and Mount Leinster. Live like a Queen Bee with CIE! CASTLES, CASTLES, CASTLES – LIVE LIKE A QUEEN BEE! CIE Tours uses three classes of hotels – first class (3-star), superior first class (4-star) or deluxe (5-star) properties on all their tours. They choose hotels in central locations or scenic regions and deluxe hotels offer luxurious features which are often in unique settings. For a royal experience, choose one of the CIE deluxe tours where you can stay in 5-star properties including Ashford Castle or Dromoland Castle. Many other tours stay in 4-star castle hotels such as Fitzpatrick Castle Hotel, Clontarf, Cabra or Kilronan Castle, giving you the experience on a more moderate budget. This famous castle dates back to the 13th century and now is one of Ireland’s most luxurious retreats. There are 83 bedrooms to choose from which are all individually designed with stunning views. Dine on superb cuisine in the elegant restaurant or enjoy afternoon tea or a snack in the lounge. The hotel offers spa facilities, golfing, horse riding, fishing and more. One of Ireland’s premier hotels, this magnificent castle Hotel offers guests every imaginable facility and comfort. Guest rooms are furnished to an amazing standard of comfort whilst the spacious public rooms are filled with numerous antiques. The Finest cuisine is enhanced by an impeccable service. You can relax in the spa and health facilities or play a round of golf on the lovely landscaped grounds with a lake and 18-hole golf course. What’s more, just down the road is Bunratty Village for an opportunity to visit Bunratty Castle! Enjoy a medieval feast at Bunratty Castle. 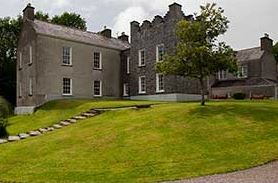 CIE Tours also feature Bunratty Castle, as well as Knappogue and Cardiff Castle on a number of tours offering Banquets. Amazing view from Cardiff castle! 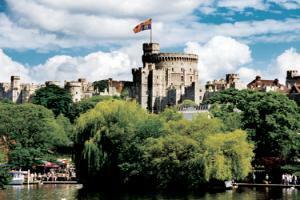 Plus, all itineraries visit plenty of more castles throughout Ireland and Britain – WOW! The very Royal Windsor Castle! 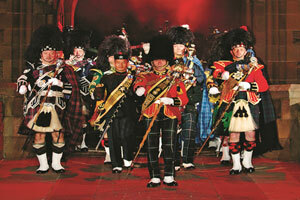 What’s more, on all CIE Tours’ holidays that visit Edinburgh during the Tattoo dates, prime tickets to this event are included! Delightful Discounts for the New Year! The chaos of Christmas can be exhausting at this time of year what with all the stress over present buying and food preparing, not to mention the the school nativity plays and the need to make your child some sort of half decent outfit to wear! It’s hardly surprising that come January people are turning their attention to something a bit more exotic or different to look forward to. It’s also why many people start to look into booking their holidays for the year ahead and even start looking while still on their Christmas holiday. The good news is that there are plenty of bargains to be had if you look around a bit. Trafalgar Tours are specialists in escorted coach tours and have a great deal on at the moment that offers 10% off selected European coach tours if you pay the full amount by the end of January. Save 10% on Trafalgar 2016 Europe Tours. Insight Vacations also offer a similar deal on some of their outstanding tours, including the wonderful ‘European Breakaway (2016)’ tour. Another great saving can be made when you book with CIE Tours. 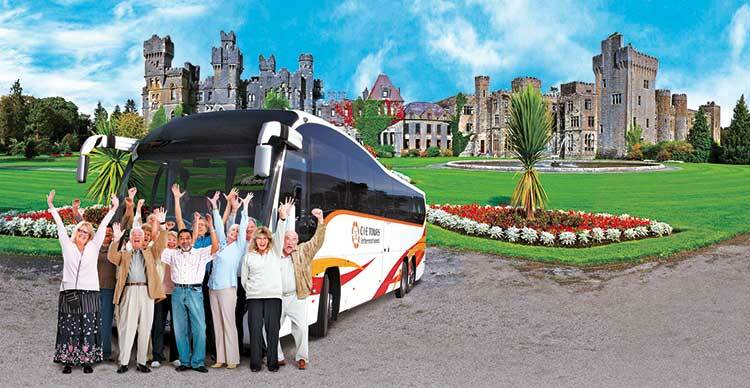 Save 10% (up to £600 per couple) on any 2016 escorted coach tour of Ireland, Scotland, England & Wales departing in 2016. Book and pay the standard deposit per person by December 31st, 2016. Great saving on fantastic holidays so don’t delay and get that bargain now before they’ve all gone ! Granted, the continent has some of the most amazing sights to see, but when it comes to islands, you just cannot beat Britain and Ireland for their magic and mystery! As Islands go, Britain and Ireland are not exactly the biggest Islands in the world, but then again, they are not the smallest – that honour goes to Bishop Rock which is situated 4 miles west of the Isles of Scilly in Cornwall and is 46 meters long by 16 meters wide! With Britain, it’s the fascinating and ancient history that so attracts thousands upon thousands of inquisitive people to its shores each year. Britain’s history is so rich you can even find layers of it in the earth! Take York for example, their Museum Gardens contain a whole array of historical buildings ranging from the Romans to the Middle Ages with layers of walls depicting each period. The actual museum itself was completed just before the Victorian period and still attracts hundreds of people a day to its doors! The majestic York minster is still of course another major attraction which cannot be ignored as you make your way around this beautiful city. Then, of course there is the wonderful Capital City of London to be captivated by. See the historical Houses of Parliament, the legendary Big Ben and the traditional Yeomen of the Queen’s Body Guard to name but a few! Whereby Britain is the island that is steeped in history and tradition, it can be said that Ireland is the more magical ‘Emerald Isle’. Ireland was given this poetic name of ‘Emerald Isle’ due to its green and luscious countryside. and it’s not hard to see why! Ireland has that certain magical and mystical feel about it, at every turn you are reminded of myths and legends and the scenery only reinforces those feelings. Find a way to explore Ireland and take full advantage of this green and wonderful land! Ireland – Your Heaven on Earth! You may or may not recognize the logo above for CIE Tours, but you will soon as this leading Irish tour operator has and continues to build its excellent reputation year in year out! They have a wonderful Irish classic tour for 2016 which features some of the most stunning sights anyone can have the privilege to see! The Giant’s Causeway is one particular highlight to witness and is close to some of the locations where the world famous ‘Games of Thrones’ is filmed. The Giant’s Causeway, renowned for its thousands of interlocking hexagonal basalt columns, was created by cooling lava bursting from a volcanic eruption some 60 million years ago. It is a UNESCO World Heritage Site which is steeped in myth and legend, especially about the mighty giant, Finn McCool. It’s setting within a dramatic coastal landscape rugged cliffs and magnificent views make for a breathtaking and surreal sight. The Titanic Belfast is also a must see! This amazing monument to Belfast’s maritime heritage and world renowned visitor attraction is the birthplace of the infamous and tragic RMS Titanic which sank on her maiden voyage in 1912. Titanic Belfast’s fascinating exhibition consists of nine interactive galleries, covering a host of various themes which start with Titanic’s construction during 1909-1911. So there you have it, over the years CIE Tours have built up an enviable reputation for security and reliability with satisfied clients throughout the world. Their standards are high, their holidays are excellent, they have state -of-the-art luxury coaches, prompt and pleasant customer service, the best hotels, and the all important outstanding visits and entertainment put on just for you! 10 Good Reasons to Visit Italy! Tips for Travelling to Britain and Ireland! 5 Places to Visit in Magical Wales! Copyright © 2019 Global Coach Tours Blog All Rights Reserved.